I recently took part in the blog tour for Nothing Is As It Was, a collection of short stories and flash fiction exploring climate change. Cath Barton, whose piece ‘The Arctic Commandments’ is published in the book, is this month’s featured author. Her prize-winning novella The Plankton Collector is due to be published by New Welsh Review in September 2018. Let’s see what insights we can get from her! Cath Barton is an English writer who lives in Wales. She won the New Welsh Writing AmeriCymru Prize for the Novella 2017 for The Plankton Collector, which will be published in September 2018 by New Welsh Review under their Rarebyte imprint. 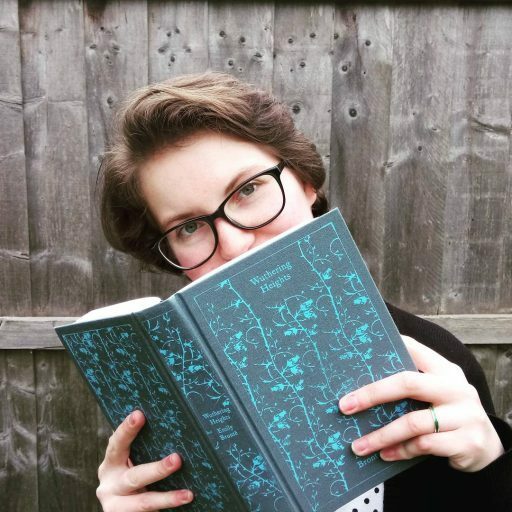 She has been awarded a place on the 2018 Literature Wales Enhanced Mentoring Scheme and is currently working on a collection of short stories inspired by the work of the sixteenth century Dutch artist Hieronymus Bosch. Active in the online flash fiction community, she is also a regular contributor to the online critical hub Wales Arts Review. Peace and quiet and no distractions. Birdsong outside is okay, but definitely no music or people chatting in the background – I don’t get on very well writing in cafes. I’ve been writing stories now for about 7 years, though before that I wrote the odd thing from time to time. I was inspired to start getting serious about my writing by joining a writing group. That’s a tricky question! I hope, of course, that it’s unique! Seriously, I hate the thought of being pigeon-holed, so I don’t know if I have a single style. If I was to use one word I’d say quirky. Yes, as Toni Morrison says, one that I’m going to write. Sometimes I think I’m always writing the same story, striving to tell it more clearly. For me it’s all about making sense of the world. At the moment I’m enjoying reading contemporary Irish writers. Jess Kidd’s Himself is a cracking read. I reviewed it for Electric Literature so you can read what I thought about it here. But if I’m to choose a book for my desert island (alongside the Bible and Shakespeare of course), one which I could read over and over again, I think I would be torn between Kenneth Grahame’s The Wind in the Willows and Dylan Thomas’s A Child’s Christmas in Wales, both of which I love, for the characters and, in Dylan Thomas especially, for the music of the language. When I heard I’d won the New Welsh Writing prize last year. Love in the Time of Cholera by Gabriel García Márquez. The freedom to reinvent the world. If you’re to be a writer, you must read, and read lots. That’s the way to dig into the rhythms and cadences of language, which will then – hopefully! – come out in your own writing, in your own voice. That’s what I aim for, anyway. I wrote The Plankton Collector because someone in one of the writing groups I go to said at the beginning of 2015 – Who’s going to write a novella this year? I found myself putting my hand up, even though I’d never thought of it until that moment, and had never written any fiction longer than a short story. Mole from The Wind in the Willows. I’d like to visit his home with him in the winter, and toast my toes by his fire. Use a picture prompt. The monthly prompt given by Visual Verse is a good one. Or With Painted Words – the prompt there this month is actually one of my own pictures! Well, someone recently said to me ‘You’ve got to keep looking forward, never sideways.’ I took that to heart – I easily get distracted by wondering when I’m going to hear about a story I’ve submitted to a publication or a competition. I need to put those thoughts aside and get on with the writing, because that’s what matters most. I’m working on a collection of short stories inspired by the paintings and drawings of Hieronymus Bosch. I also plan to write something based on the life of my Auntie Phyllis, who was a circus artiste. This year is the 250th anniversary of the modern circus, so I ought to get on and capitalise on that. Plenty to do!! The members of a family torn apart by grief and regrets are, individually, visited by a man who comes in different guises. Ten-year old Mary meets him first, as Mr Smith who takes her on a train journey to the seaside. Her mother, Rose, meets him as a man called Stephen in the churchyard where her son Edgar is buried. She too travels with him, in some way or other, to a grassy sea-cliff. Her son Bunny encounters him as the gardener Mr George. For Rose’s husband and father of the children David, the meeting is with a love from his youth, Colin. There is also a long-lost Uncle, Barnaby, who takes the children for a week’s holiday during which their parents are able to begin a reconciliation at home. These characters are all manifestations of The Plankton Collector. He gathers the tiny shells which are the remains of the plankton which fuel life on this Earth. He helps Mary, Bunny and their parents to come to terms with their losses and disappointments, teaching them the difference between the weight of unhappy memories which they can discard and the lightness borne by happiness recalled, symbolised by the tiny shells of the plankton.